TB Fluorostain Kit | Polysciences, Inc.
Fluorescent detection of M. tuberculosis and other acid-fast bacteria. Fluorochrome staining of mycobacteria in an acid-fast smear offers several advantages over traditional carbol-fuchsin methods. 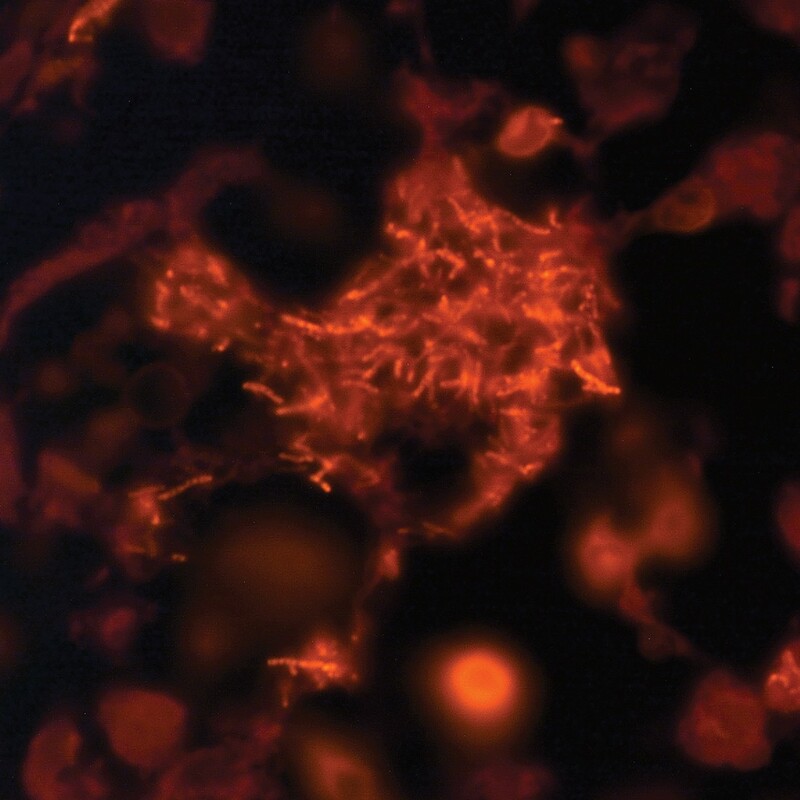 Lower magnification is required; Mycobacteria, including M. tuberculosis, M. leprae, M. avium-intracellular fluoresce orange-yellow on a dark black background. M. tuberculosis appears as slightly curved or straight rods with rounded ends. The rods will be 0.3 to 0.6μm in length. Converse, P. J. et al. Cavitary tuberculosis produced in rabbits by aerosolized virulent tubercle bacilli. Infection and Immunity 64, 4776–4787 (1996).